A long standing staple in Asian skin care, sheet masks are having somewhat of an 'Insta mum' moment with everyone from Victoria Beckham to Kim Kardashian-West posting snaps in full sheet mask glory. Yes, they may make you look like something out of a horror movie but these scary looking sheet masks are actually a beauty angle, brightening, hydrating and refreshing the skin like nothing else. Made of fabric or solid gel and doused in serum, sheet masks are the perfect quick fix for tired, dull and dehydrated skin in desperate need of a pick me up. I'm a big fan of popping one on every sunday while enjoying my morning Java or before a rare night out away from the kids for an instantly plumped-up, perky complexion in minutes. So go ahead, check out my 9 game changing sheet mask for knackered mums. Another award winner from the beauty guru that is Sarah Chapman. It’s secret? A powerful formula combining low molecular weight hyaluronic acid and rosewater, to smooth the appearance of fine lines and wrinkles while Chapman’s radiance-reviving Pentavitin® complex delivers intense hydration for a plumped, luminous appearance. 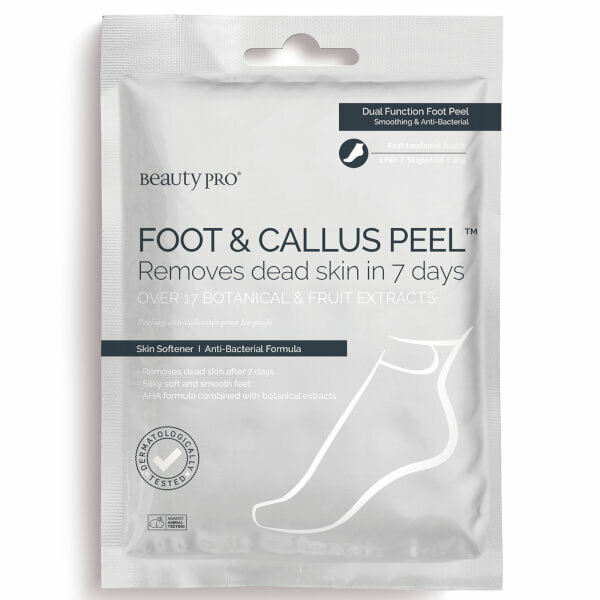 If there was ever proof you don’t need to pay more to get great results, this is it.Created with an advanced complex of seventeen Natural Plant Botanicals Beauty Pro’s dual-function foot peel effortlessly smoothes feet, by encouraging the elimination of dead skin over seven days for feet that are enviably soft, supple and hydrated. Simply brilliant! 111 SKIN Meso Infusion Overnight Mask x 1 £100 111 Skin’s Meso Infusion Overnight Mask may come with a hefty price tag but if you’re looking to get red carpet ready this is one facemask worth indulging in. Specifically designed for use on laughter, frown lines and the under eye area, these genius masks are formulated with an innovative self-dissolving mask technology to penetrate deep into the skin for unrivalled anti-ageing results. With pure hyaluronic acid to plump fine lines and antioxidant vitamin C to erase pigmentation, these little masks are so good that even Margot Robbie can’t get enough! Rodial’s brilliant detoxifying bubble mask generates O2 bubbles to remove dirt, dead skin cells and excess oil to brighten the complexion, while a purifying blend of bamboo charcoal deeply cleanse and unclog pores, as a hydrating blend of collagen, ceramide, vitamins a & e and peptides revitalise for skin that is fresher, smother and sparkling clean. SKIN LAUNDRY Hydrating Radiance Facial Treatment Mask x 1 £10Packed full of nutrient rich, skin-renewing ingredients, Skin Laundry facial mask improves skin hydration, minimises pores and evens out skin tone and texture in a mere 10 to 15 minutes! Ideal post laser treatment. IMAGE SKINCARE Biomolecular Anti-Aging Radiance Mask Harnessing the very latest in Korean skincare technologies, this antiaging biomolecular mask provides essential antioxidant protection to the skin while instantly delivering radiance and luminosity thanks to it’s innovative ingredients including Jeju Volcanic Oxygen Water and Onsen Sui Mineral Charges Water. ESTHEDERM Lift Repair Eye Contour Lift Patches x 10 £47.50 A must have for knackered mums all over, Lift & Repair Eye Contour Lift Patches utilise Caffeine, Escin and Repair Technology to stimulate microcirculation and revitalise the skin while eradicating the effects of tiredness. What’s more, these little beauty’s only take 5 minutes to do their thing, meaning you can reverse the effects of a sleepless night in less time than it takes you to drink your morning coffee! 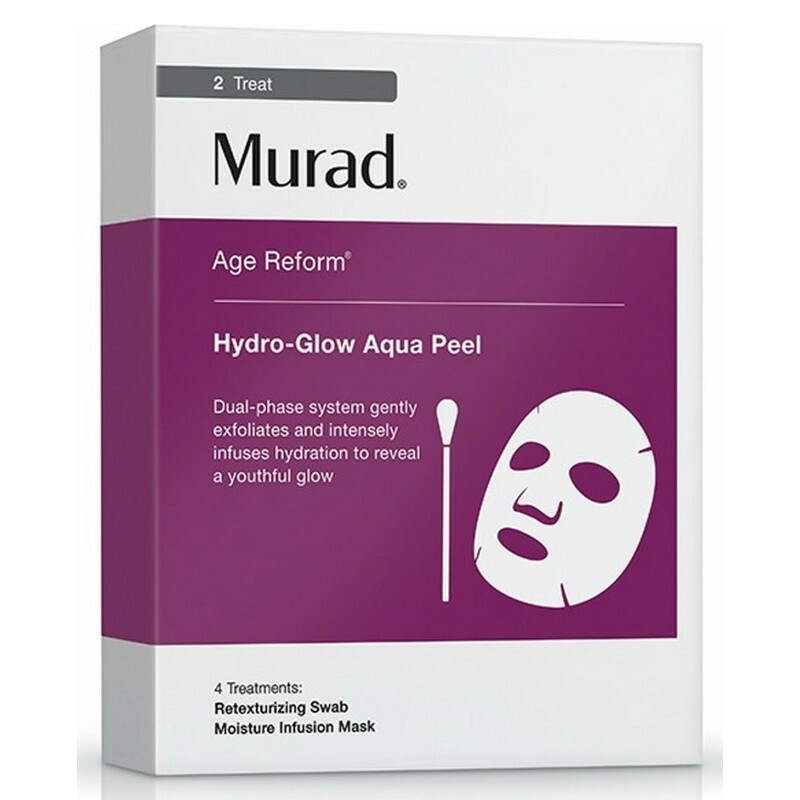 MURAD Age Reform Hydro-Glow Aqua Peel x 4 £40With a unique 2-step system Murad’s latest offering promises a 400% boost in hydration. Involving a gentle peel skin peel with anti-ageing benefits and intensely hydration sheet mask containing a host of botanical extracts mixed with hyaluronic acid, fine lines and wrinkles are minimised, as skin is re-texturised and brighten for a youthful glow. CLARINS Super Restorative Instant Lift Serum-Mask x 1 £15 Designed to visibly lift and plumps skin in just 15 minutes, Clarin’s skin-tightening gel-serum mask is one of the only mask on the market to deliver an immediate lifting and plumping effect on both the face and neck! Do you have a game changing sheet mask I not mentioned? Share your favourites below.